Laino has selected the best active ingredients to create this 3-in-1 Shower Shampoo for the body, hair and face. 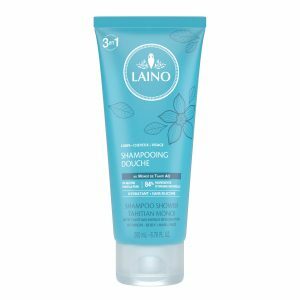 Thanks to Tahitian Monoï and the association of hydrating* glycerin with a conditioning complex, this silicone-free shower shampoo delicately cleanses, moisturises* and perfumes your skin with an exotic and summery scent. Lather on the skin and hair and rinse well. Proven effectiveness under dermatological control. 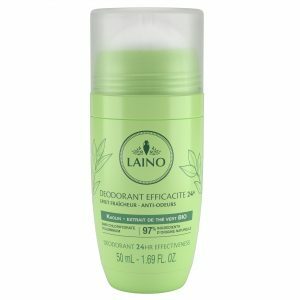 AQUA (WATER) / EAU, SODIUM LAURETH SULFATE, PEG-7 GLYCERYL COCOATE, GLYCERIN, DISODIUM LAURETH SULFOSUCCINATE, COCAMIDOPROPYL BETAINE, PARFUM (FRAGRANCE), COCOS NUCIFERA (COCONUT) OIL, GARDENIA TAITENSIS FLOWER EXTRACT, COCO-GLUCOSIDE, GLYCERYL OLEATE, PEG-120 METHYL GLUCOSE DIOLEATE, PEG-40 HYDROGENATED CASTOR OIL, POLYQUATERNIUM-39, POLYQUATERNIUM-10, TOCOPHEROL, HYDROGENATED PALM GLYCERIDES CITRATE, SODIUM CHLORIDE, TETRASODIUM GLUTAMATE DIACETATE, CITRIC ACID, SODIUM HYDROXIDE, SODIUM BENZOATE, POTASSIUM SORBATE, BENZYL SALICYLATE, AMYL CINNAMAL, LINALOOL, GERANIOL.